These 3mm silver and gold, Round and Square cake boards are perfect for displaying and transporting your homemade celebration cakes! 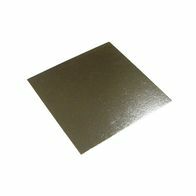 This range of silver and gold cake boards are available in a number of different sizes and shapes, not only round and square but oblongs. 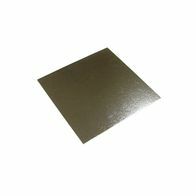 All our 3mm silver and gold cake boards are manufactured under our Quality Management System to bring you the the highest quality product with the highest level of hygiene during manufacturing that is available within Europe. This range of cake boards are made using a superior quality 3mm /(1/8") thick durable material. Our range of 3mm cake boards are also available in a variety of colours to help you co-ordinate your clients requests with a suitable base. 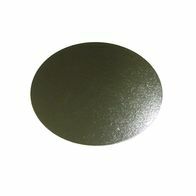 3mm Round Silver Cake Boards 5"
3mm Square cake board 4"
3mm Round Cake Board 4"
3mm Round cake board 6"
3mm Square cake board 6"
3mm Round cake board 7"
3mm Square cake board 7"
3mm Square Cake Board 8"
3mm Round Cake Board 8"
3mm Round cake board 9"
3mm Square cake board 9"
3mm Square Cake Board 10"